Poor Solomon is looking for some fun but no one wants to play. The dragonflies tell him to buzz off, the storks get in a flap, and the hippo? Well, the less said about the hippo, the better! But then somebody else starts causing trouble . . . and for once it is NOT Solomon. Could it be the perfect pal for a lonely crocodile? Solomon Crocodile is a snappy, happy, fun story with stunning artwork from the Kate Greenaway award-winning Catherine Rayner. Catherine Rayner studied illustration at Edinburgh College of Art. She fell in love with the city and still lives there with her young family and a small menagerie of creatures including Shannon the horse, Ena the cat and a goldfish called Richard, all of whom inspire her work. Catherine won the Best New Illustrator Award at the Booktrust Early Years Awards and has been awarded the prestigious Kate Greenaway Medal. 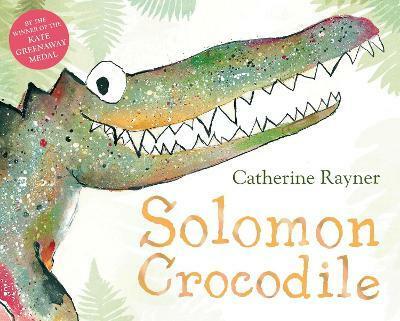 Catherine's books for Macmillan include the critically acclaimed Ernest and Solomon Crocodile - both of which were shortlisted for the Kate Greenaway Medal - as well as Solomon and Mortimer, the laugh-out-loud sequel to Solomon Crocodile, and Smelly Louie.